If both of you are bored with going to the cinema, cafes, and picnics, it’s time to try something new and rekindle your relationship. Run out of ideas? A bit of brainstorming for you has been done the following ideas came up that you can use for the next date with your sweetheart. Dine at home. Eating out is no longer fun? Cook dinner yourself and spend a romantic evening at home. It’s much more pleasant to eat the dishes prepared with love in a home environment. Perhaps, you have your signature dish but if not, ask your girlfriend or wife to cook and offer your help. If both of you can’t boast outstanding cooking skills, prepare something together strictly following the guidelines you’ll find on the Internet. The main idea is to do everything together from A to Z. Choose the dish, make up the list of all the necessary ingredients, go to the supermarket (don’t forget to buy a bottle of wine), and cook. The whole process will bring you closer together and help you get to know each other from a different angle. Go for a bike ride. If you and your partner are fond of active leisure, consider taking your girlfriend for a bike ride. If you don’t have bicycles, you can always rent them. Take some food and a blanket and have a snack in some picturesque place where your ride will take you. Take a stroll in the old part of your city. There is always a special romantic atmosphere in the old town of a city. Leave your car in the garage, wear comfortable shoes, and set off to explore your city. Don’t plan your route in advance – just choose the starting point and wander aimlessly. Walk down the unknown streets, drink latte sitting on the bench, take pictures, and enjoy each other’s company. Go to the library. Yes, you read that right – library. Although it may seem not a very good date idea at first, you should go there together at least once, especially if your girlfriend is keen on reading. Choose the biggest library in your area and spend several hours in the “temple of learning”. Enjoy the silence and that special smell of old books walking along the rows, staring at the shelves. Take your favorite hardbacks or something from periodicals and sit for a while on a sofa and read. Go to the place she always wanted to visit. Ask your partner where she wants to go but never finds the time to do it. It may turn out that you have one and the same place on your mind and now you can get there together. In case you think about different places, break them into two dates. Fly a kite. Make her childhood dream come true. Pack a picnic basket, get two kites, and go to the windy open terrain. You’ll have a great romantic date and both of you will remember it forever. Watch the sunrise. Although dates are usually associated with the evening time, why don’t you break the rules and go out when the world is still asleep. Isn’t it romantic to see the first sun rays appear over the horizon? Your city sleeps and it’s only you two standing on the roof of a high building (or in any other place that provides a clear sight of the horizon) watching how the sky changes its color and how a new day starts. Yet, the best sunrises can be contemplated at the sea. This is the case when a picture is worth a thousand words. Write a love letter. Have you ever written a real letter, not an email or message, but a real paper people send via snail mail? If not, it’s time to. 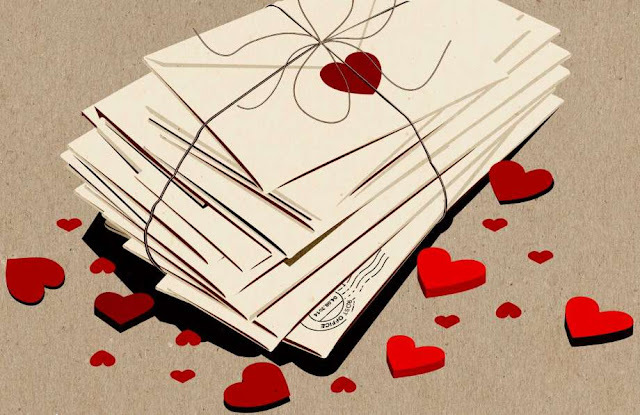 Offer your sweetheart to drop a line to each other in an old-fashioned way. Organize a romantic evening at home, drink some wine, sit back-to-back, and write the letters. After that put them into the envelopes and drop them into the nearest mailbox. Great ideas I've not had a date with my husband for awhile and need to make more of an effort to do so. Oh I love these ideas, especially the one about walking in the city. I noticed recently when we were driving through that we haven't really explored the town where we live properly yet. I love these ideas! A romantic bike ride is my kind of date but I've never actually been on one! Oh I would love to receive a love letter although my husband and I tease each other so much I don't think we would take it seriously! Some great ideas, I love going for bike rides with my bf. Aww, these would be wonderful dates! I think simple dates where you have plenty of time to talk are the best. This has some interesting and fun suggestions but I can't get my head around going to the library somehow! Love the writing a letter suggestion. An old tradition but very romantic. Lots of great ideas here. We tend to have floor picnics at home with all our favourite picky bits. Some great ideas here! Home cooking is always the best, especially if it's then made extra special with a little decoration and some flowers etc. Makes it different to an average night in! Great suggestions, I'd love to have a date night with hubby where we'd go cycling. I love the idea of going on a bike ride together. I would also love going to the library, but my husband would absolutely hate this!